Facebook keeps on launching new features to remain the best social media company providing people with the best services. When it comes to its messenger, Facebook has always tried to equip it with the latest features and is mostly the pioneer of those features which are later on copied by other social media platforms. 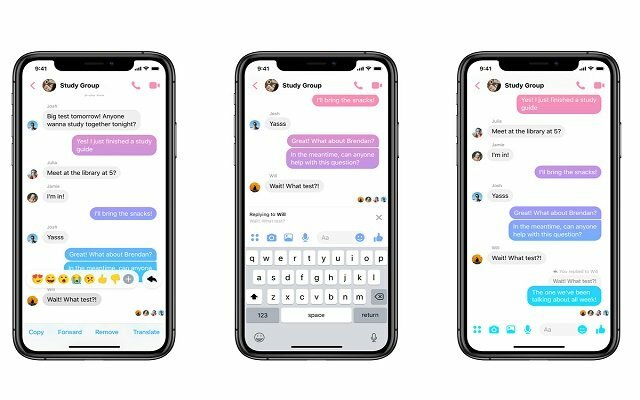 This time Facebook messenger has launched something new: Quoted replies. Now users will be able to quote and reply to a specific message in the whole conversation. This will make it easier for the sender to realize that for what message receiver has replied and tracking things would be more easier than before.